Cavities are miserable and, as adults, most of us take every precaution to avoid them. It’s important to be aware that kids are just as susceptible to their presence and their fury. In fact, cavities affect more kids than asthma and diabetes. Let’s take a look at ways that kids develop cavities, how cavities in kids are treated and best yet, how to help your children prevent them. Paul Casamassimo, D.D.S., professor of pediatric dentistry at Ohio State University College observes, “Children now have much more sugar in their diets at an early age” contributing to their increased propensity to develop cavities. Sugar, when introduced to your mouth, causes bacteria in plaque to produce acids that war against tooth enamel. Plaque is sticky and holds these acids against your teeth causing the enamel to break down over time. This is when cavities form. Another culprit of cavities in kids is their lack of exposure to fluoride. 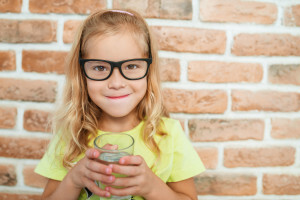 In our society today, kids and adults alike consume less fluoride-induced tap water in favor of bottled water, which often does not contain fluoride. Fluoride helps to strengthen teeth and wards off enamel erosion. Probably a lesser-known but equally prevalent cause of cavities in kids is a bacteria called mutans streptococcus. When babies are born, their mouths are free from these harmful mutans. This bacteria is often introduced, however, from mom or dad. When babies put their fingers in mom or dad’s mouth, eat off the same spoon or share a toothbrush, they easily transfer it to their baby. This child then grows up with an increased likelihood of developing cavities in his/her baby and adult teeth. 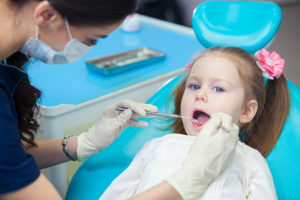 In fact, Dr. Burton Edelstein, D.D.S., founder of Children’s Dental Health Project, states that, “80% of all cavities occur in just 25% of kids,” which speaks to the presence of this hereditary bacteria. 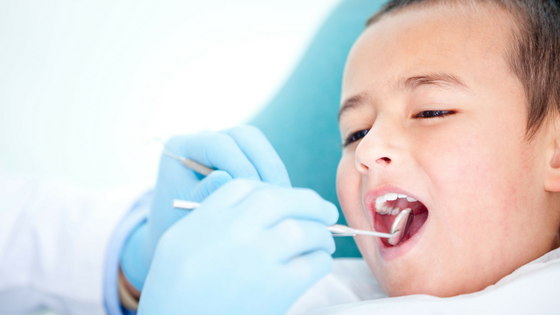 HOW CAN I SPOT A CAVITY IN MY CHILD’S MOUTH? Cavities or dental caries are essentially holes in teeth that can, with time, grow bigger and deeper. If you notice a dark spot on your child’s tooth you can safely assume a cavity is forming. In most cases, treatment consists of removing the decaying part of the tooth and replacing it with a filling. Fillings come in a variety of materials. Most often we are using the white composite material with children and adults. Cavities in baby teeth are treated just as seriously as cavities in adult teeth since baby teeth hold space for future adult teeth. When baby teeth fall out prematurely or have to be pulled because of excessive decay, the child is at risk for improper spacing or positioning of adult teeth, making him/her a more likely candidate for braces down the road. WHAT CAN I DO TO HELP PREVENT CAVITIES IN MY CHILD’S MOUTH? 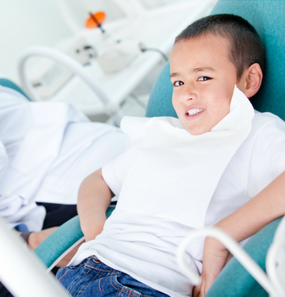 There are numerous precautions you can take as a parent to minimize your child’s risk of cavities. 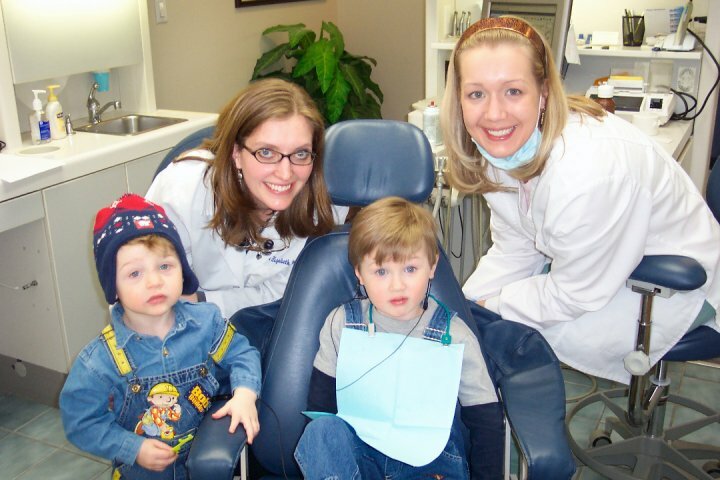 • Take your child in for regular dental checkups starting at the age of 1. This cannot be emphasized enough and pediatricians still aren’t always reminding parents even though the American Academy of Pediatrics has had this guideline for years. • As you’re able, wipe your baby’s gums with a damp washcloth after eating. Even breast milk and formula contain acid-inducing sugars. 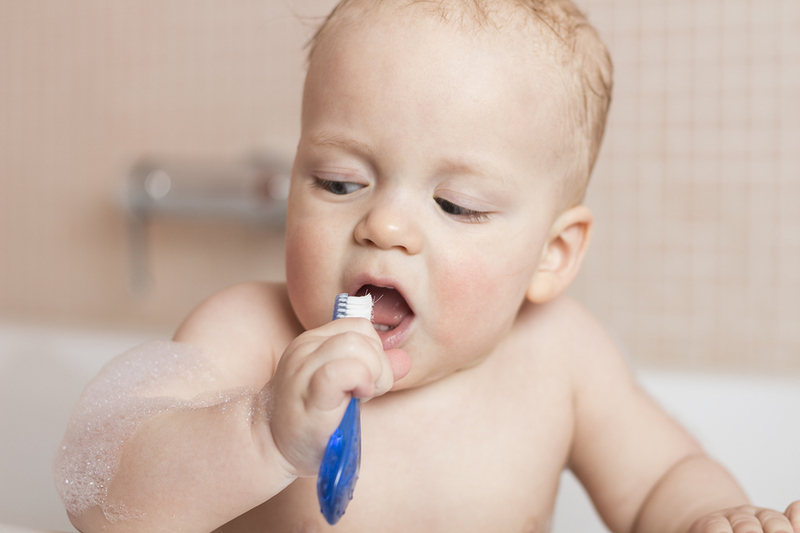 As soon as your baby gets the first tooth begin a daily brushing routine. • In addition to thorough daily brushing and once your child has two teeth next to each other, introduce flossing. At the age of 2-3, when your children are able to spit, and not swallow their toothpaste, introduce children’s toothpaste with fluoride. Talk to us at Eggert Family Dentistry about protective fluoride varnish or sealants for your child’s teeth. Many insurance companies cover these preventative measures. • Don’t share utensils or toothbrushes with your children. If you suspect you have decay-causing bacteria in your mouth, which nearly all adults do to some extent, consider an antibiotic mouthwash treatment that can reduce bacteria levels. If you’re concerned about your child’s smile and want to ensure proper care we would love to help. Please don’t hesitate to contact Eggert Family Dentistry with any questions you may have! When Do I Start Brushing My Baby’s Teeth and Gums? Baby teeth are more than just placeholders for your child’s adult teeth. They help young children chew and even speak clearly. Taking good care of your child’s baby teeth lays a healthy, strong foundation for their permanent teeth, too. You can start building healthy oral health habits as soon as your little one arrives. Wipe down your newborn or infant’s gums twice a day, preferably just after feeding. Use a soft, moistened washcloth or a bit of damp gauze. When your child’s first tooth appears, it’s time for the toothbrush. Choose one with soft bristles and a large handle. The bristles and head will be comfortable for your baby, while the large handle is easier for you to handle. Parents often ask us if it’s okay to use toothpaste for their young children’s new teeth. We recommend just using water at first, and then introduce fluoride-free toothpaste around age 1. When your child can adequately spit into the sink, it is time to start using fluoride toothpaste, generally using the standard pea-sized amount. Another question we get is when it’s okay to have your kids start brushing their own teeth. If your child can hold their brush themselves, they can start brushing their own teeth—with your supervision, of course! This means mom or dad should ALWAYS follow up the brushing, looking for and pointing out any areas that were missed, especially in the far back. Children really don’t have the dexterity and understanding to fully brush completely alone until age 8-10. Can wiping down your newborn’s gums and brushing your child’s single baby tooth really make that much of a difference? Yes. Baby teeth are susceptible to tooth decay just like permanent teeth are. Brown or white spots on baby teeth, pits in baby teeth, cavities, and other signs of decay can be painful for your child and prevent them from chewing properly. To prevent tooth decay in young children, we suggest you stick to breast milk, formula, and water before 6 months. After your child is eating solid foods, continue to avoid sugary drinks, including soda and juice. Never put sugar or honey on your child’s pacifier. Teething is a natural process that occurs through age 2-3, when most baby teeth have been pushed through your child’s gums. Erupting teeth can cause discomfort or even pain for your child. If your little one is drooling more than usual, has swollen gums, or a higher than normal temperature, chances are he or she is teething. Alleviate the pain with a cold washcloth or teething ring. Rubbing their gums with a clean finger can also provide relief. We look forward to seeing your little one for their first dental appointment around their first birthday. We’ll help you build healthy habits and can give you tips on tooth care, teething, and thumb sucking. Schedule your child’s recare visit today. Posted on January 19, 2018 Categories Children's Dental HealthLeave a comment on When Do I Start Brushing My Baby’s Teeth and Gums? Have you noticed how busy teens are today? In addition to school and a few hours of homework every night, they’ve got soccer practice, dance lessons, and marching band. On weekends, the stress continues with all-day tournaments and a packed social calendar. While being so on-the-go, it’s easy to see how good eating and oral health habits get pushed down the priority list. We’ve definitely seen it with our own teenage boys Peter and Luke! But building a healthy mouth and body during adolescence is one of your teenager’s most important jobs. The habits they build now will last long into adulthood. 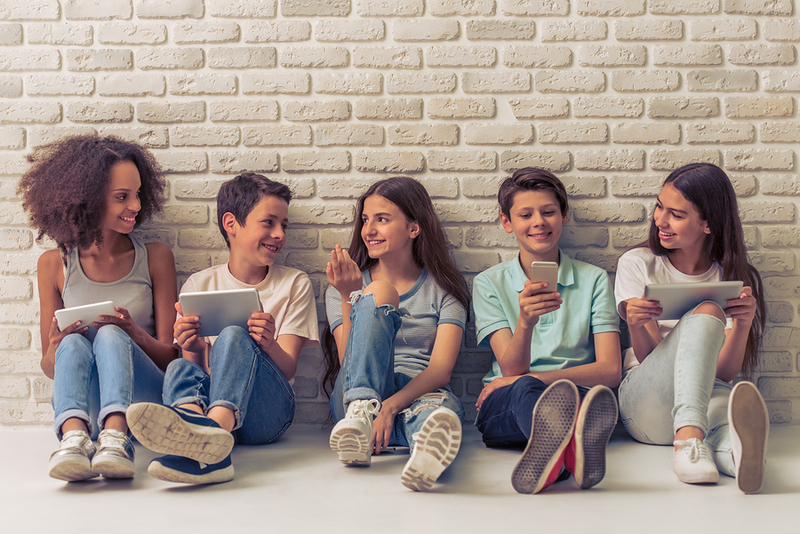 That’s why Dr. Elizabeth and Dr. Jeff encourage their teen patients to take the time to slow down, make healthy eating choices, get enough sleep, and of course carve out time at the beginning and end of their days to brush and floss. Here are a few healthy tips to share with your teen. Food is the fuel our body uses to build muscle, grow healthy bones, and help the brain to function optimally. Your mouth is ground zero for the food you eat. If that food is high in sugar and very acidic, it wreaks havoc on your teeth and gums. It’s not that great for the rest of your body, either, since sugary foods provide little or no nutrition. The great news is that the foods that are healthy for your teeth and gums are also healthy for your entire body. Whole foods rich with fiber and protein provide excellent nutrition without leaving sugars behind on your teeth. Drinking lots of water helps your brain and body stay hydrated and working efficiently. It also helps wash away any food left in your mouth after eating. Think about it—when you get up in the morning, your body has not eaten for hours! It needs fuel to wake up and get moving. Fiber and protein-rich breakfasts provide great nutrition and keep you feeling full all morning. Try a breakfast burrito or egg sandwich on a whole-grain English muffin. Morning breath is usually enough of a motivator to brush your teeth in the morning. But after a full day of school, homework, and practice, it’s tempting to collapse into bed without brushing and flossing. Think about it—all the sugar and food particles from the entire day will sit in your mouth for hours if you don’t brush and floss! All that sugar is a feast for bacteria that causes tooth decay. Yikes! We encourage our teen patients to create and stick to a bedtime brushing and flossing habit. It only takes a few minutes and goes a long way toward maintaining a healthy mouth. Dr. Elizabeth or Dr. Jeff may also recommend sealants to support your good habits. Sealants fill in the grooves in the top of your back teeth. These areas are hard to clean and are prone to decay. Sealants help make your job a lot easier. Has it been awhile since you’ve seen us? Schedule your recare appointment with Dr. Elizabeth or Dr. Jeff today. 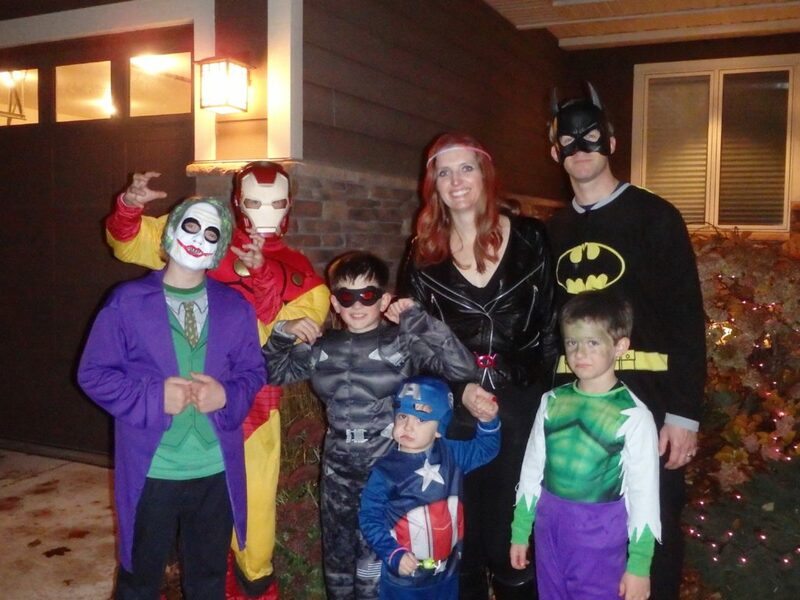 If your family is like the Eggert clan, your little ones look forward to Halloween with giddy anticipation. Even Dr. Elizabeth and Dr. Jeff have been known to sneak a piece of candy or two from their kids’ treat buckets. An occasional treat isn’t going to do much damage, but binging on Halloween candy can wreak havoc on your teeth (and your kids’ teeth, too). Here’s our list of the best and worst Halloween candy for your choppers. Chocolate tops the list of candy that’s compatible with your teeth. It’s also one of the most popular Halloween candies. Chocolate itself isn’t sticky like many other candies, so it washes off your teeth easily. Sugar-free candies are also excellent options. Sucking on a sugar-free lollipop or hard candy stimulates the production of saliva, which helps to wash away the food bacteria eats. Sugar-free gum is a good choice, too. 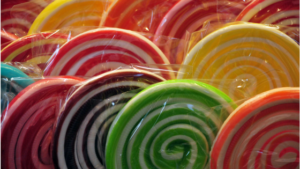 While sugar-free candies are good, sugary hard candies and lollipops are not. They produce saliva like their sugar-free counterparts, but the sugar from the candy gets absorbed by your saliva and washes over your teeth. Sour candy is also one to avoid. These types of candies are highly acidic in addition to being sticky and coated in a layer of sugar. The acidity can break down the enamel in your teeth, leaving them at risk of cavities and gum disease. But the worst culprits in your kid’s Halloween treat bucket are chewy, sticky candies. Gummy bears, fruity candy, taffy, licorice, and other sticky treats get caught between your kids’ teeth. They can linger there for days, providing a sugary feast for bacteria. That’s why chewy, sticky candies are the worst Halloween candies for your teeth. 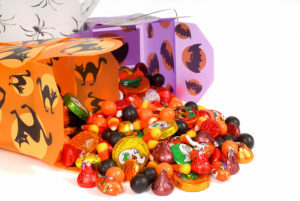 Halloween’s a fun time, and we all enjoy a sugary treat or two from our kids’ treat buckets. Brushing, flossing, and recare appointments throughout the year can help protect your teeth during the spookiest time of year. Schedule your family’s recare appointment today. A wisdom tooth that never grew in is a good thing—one less tooth to remove! However, being a child with a missing front tooth is quite a different story. Teenage years are often difficult enough without having to worry about appearance. With the emotional roller coaster of being a teen, we need to give our children any excuse to smile! A congenitally missing tooth is one of the most common dental developmental abnormalities. 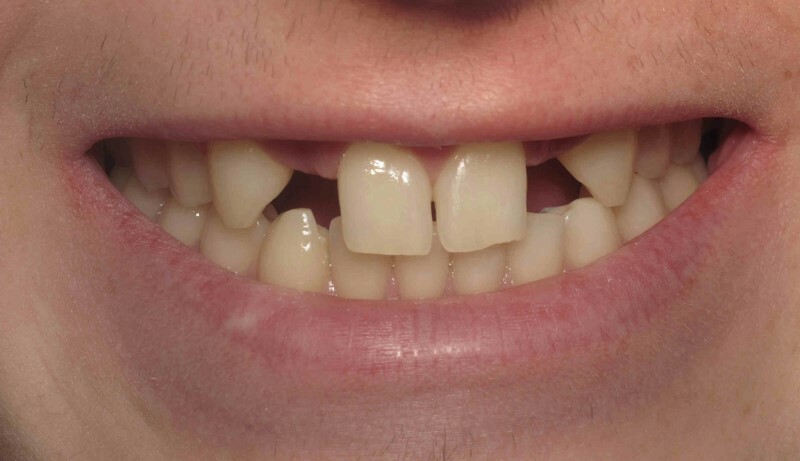 In fact, roughly 20 percent of adults have at least one tooth that never developed. Why is that number so high? Well, we’ve all heard of that person who didn’t develop all, if any, wisdom teeth. If you take wisdom teeth out of the picture, the percentage of adults with congenitally missing teeth drops to only 5 percent. Other permanent teeth we see missing are second premolars, upper lateral incisors, and lower central incisors. 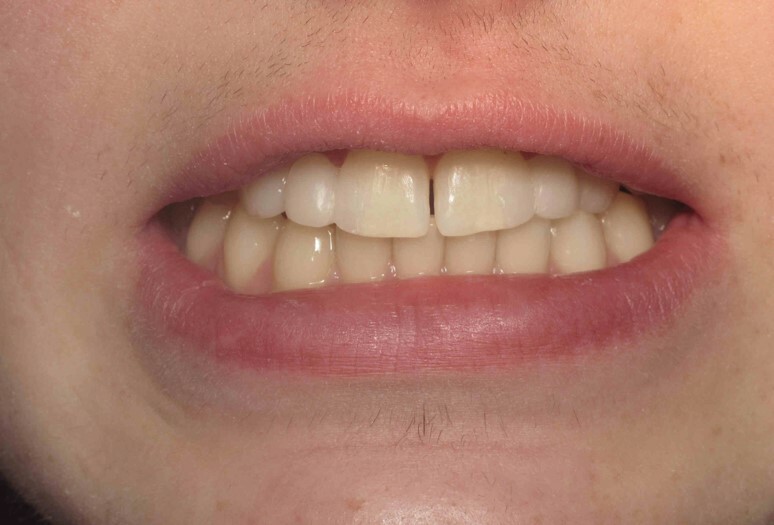 Hudson is a 17-year-old patient of ours who never developed his upper lateral incisors. Typically, implants are the treatment of choice to replace missing teeth like this. The golden rule for teenagers is to proceed with implant placement once skeletal growth is complete. Early implant placement, at a time of continuing growth, can lead to unaesthetic final results. Hudson wore traditional braces to improve and even out the spacing to allow room for implants once skeletal growth is complete. But, what could be done now for Hudson? Dr. Elizabeth recommended composite bonding, which should last many years and give Hudson a fixed option to replace the missing teeth and keep his teeth from shifting. To even out Hudson’s symmetry, resin composite bonding material was added to his six front teeth to create a natural-looking smile that he can confidently wear until it’s time for implants. Hudson loves his new smile! Don’t let missing teeth affect your confidence. Contact us today to discuss treatment options. Summertime can make it hard for people to take good care of their teeth. Vacations, summer camp and days at the pool interfere with everyone’s schedule and unfortunately, brushing routines may suffer. 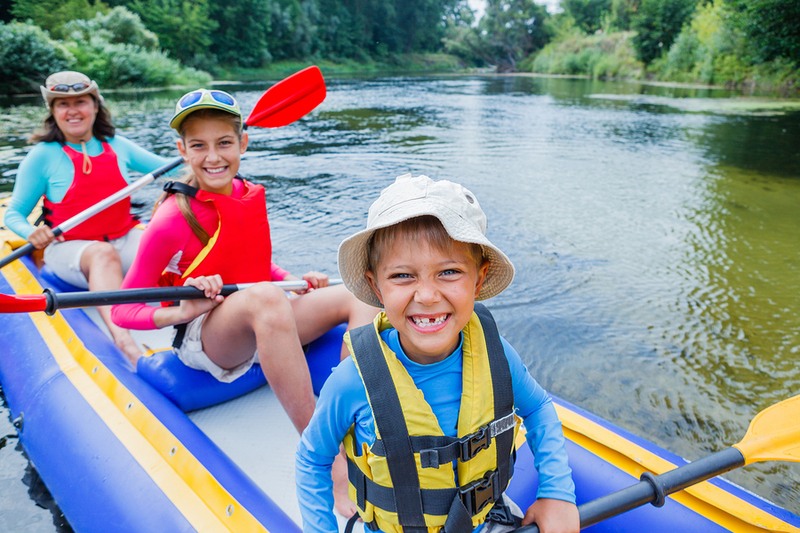 Both kids and grownups may face the temptation of extra sugar, from donuts in the car on the way to the beach, to a cooler full of pop, to late night s’mores around the campfire. Here are some tips for ensuring that when September comes, your teeth are in better shape than they were in June. Remind kids to keep to their regular brushing and flossing schedule–and remind yourself, too. Start summer with a fresh toothbrush for everyone, and a fresh travel brush too. Get travel-sized toothpastes for the whole family, and a few backup brushes for guests and to cover misplaced toothbrushes. Keep the kitchen and cooler stocked with healthy snacks. Think fruits and vegetables instead of sweets. Sugar encourages bacteria and acidity in your mouth, which causes plaque to form and damage to easily occur with your enamel and gums. Every time you eat sugar, your mouth will boost acid production for up to 20 minutes. Soda is especially harsh on teeth, containing phosphoric acid and citric acid, which weakens tooth enamel and makes it more susceptible to cavities. Instead of soda and juice, choose iced tea or water perked up with sliced berries, citrus or cucumber and a few mint leaves. Book check-ups before school starts again. It is important that all members of your family see us at least twice annually. This will also help reduce the chance that someone in your family will suffer tooth pain on vacation. Quit tobacco. Nicotine and tar damage your gums, and encourage bacteria and plaque. Tobacco can also lead to oral cancer. Smoking and chewing are bad news for your oral health. Have both kids and grownups wear the proper protective headgear and mouthguards for contact sports. Enforce the rules around the pool–they’re ubiquitous for a reason! According to the Academy of General Dentistry, summer oral injuries often take place around the pool. Shallow-water dives, running on slippery pool decks, and bumping the pool ledge can easily chip or fracture a tooth or even knock one loose. Put together a dental emergency kit for sports and vacations. Include a clean handkerchief, gauze, a clean small-lidded container, ibuprofen and our office’s contact information. If you are around a dental injury, get the patient to our dental office ASAP. In the meantime, clean the area with warm water and apply a cold pack to reduce swelling. Use gauze to stop bleeding. If a permanent tooth has been knocked out, place it back in the mouth if possible. Otherwise, place it in salt water or milk to keep it moist and bring all fragments into our office with you. We at Eggert Family Dentistry look forward to seeing you! Please come in for your summer checkup, and take good care of your teeth, mouth and gums so you can enjoy uneventful checkups for years to come. “Baby bottle tooth decay” is a term used to describe tooth decay in infants and toddlers, often referring to decay of the top front teeth specifically. Though it occurs when your child is an infant or toddler, baby bottle tooth decay can affect your child’s oral health for years to come. Is your child at risk, and what can you do to prevent baby bottle tooth decay in your little one? Baby bottles are not the sole cause of baby bottle tooth decay, though excessive use of bottles to soothe children can be a factor. Putting your child to bed with a bottle or using a bottle as a pacifier exposes your child’s teeth to the sugars in milk and juice. Bacteria in your child’s mouth feed on this sugar and create plaque, tartar, and eventually, cavities. But there’s another, less obvious cause of baby bottle tooth decay. When you put your child’s feeding spoon or pacifier in your mouth to clean it, you pass bacteria in your mouth to your child’s mouth. This seemingly innocuous habit can also put your child’s teeth at risk. How can I prevent baby bottle tooth decay in my young child? Allow children to finish their bottles before being put to bed. Don’t put honey or another sweetener on your child’s pacifier. Only place formula or breast milk in bottles and avoid giving young children sugary drinks. Encourage your one-year-old to drink from a cup, ideally one without a spill-proof valve. Wipe your child’s gums with a clean, damp gauze or washcloth, and once teeth appear, brush them gently with a child-safe toothpaste. Good oral health habits should start in your child’s first few months of life and set them up for a lifetime of healthy smiles. 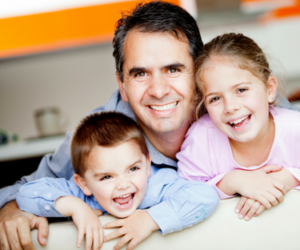 To schedule your child’s first dental appointment, contact Eggert Family Dentistry today.